ARIES – Your sense of humor would help someone to encourage himself to develop this skill as you make him understand that happiness does not lie in possession of thing but is inside of us. Investment needs to be made with a long-term perspective. Don’t reveal information that is personal and confidential. of your beloved. Travelling will not bring immediate results but will lay down good foundation for future benefits. Work pressure had been hampering your married life since long. But today, all the grievances will be vanished. Thoughts and clothes are mirror of personality – this is the right day to go buy some good clothes for you. TAURUS – Don’t let little thing bother your mind. Sudden inflow of funds takes care of your bills and immediate expenses. A very good day to harmonies your relations with wife. In a family both people involved should be totally committed to their love and trust more in their relationship. Ready to take responsibility and communicate constructively. Spell of love is all set to bind you this day. Just feel the bliss. Travel-entertainment and socializing would be on your agenda today. The day will not be very good for you as there might be many disagreements on several issues. This will make your relationship weak. You might feel that you have wasted most of the day. Therefore, it is better to plan your day in a more productive way. GEMINI – Don’t take your life for granted realize that the care for life is the real vow. You will make good money today- but the rise in expenses will make it difficult for you to save. Children might seek your help to complete school projects. Love life seems to be blessing you today. Today is one of those days when things will not move the way you want. Looks like your partner is in a fabulous mood today, all you need is to help him/her in making it the best day of your married life. Watching a movie with your loved ones may make this day fun filled and entertaining. CANCER – Patients with gas trouble must avoid oily and fatty diet as it could increase their sickness. Don’t overspend too much in order to impress others. Harsh treatment from father could annoy you. But you need to keep your cool to put things under control. You would be benefited by this. Romance- outings and parties may prove to be exciting but very tiring. A spiritual leader or an elder provides guidance. A surprise from your sweetheart will change your entire outlook toward marriage. This is a day for partying hard and there is no doubt about it. However, too much of anything leads to trouble – failing to recognize it may get your health in the soup. LEO – Cheer up as good time ahead and you will have additional energy. You will come up with brilliant new ideas that will bring financial gains. If you are planning to have a party then invite your best friends- There will be lot of people who will be cheering you up. Today, you and your love partner will delve into the ocean of love, and will experience the high of love. You need to move out and rub elbows with people at high places. You will have a stressful relationship with your spouse and there might be serious discord that will last longer than it should. You might give way to foodie in you, and savor many delicacies. You may also visit a restaurant where exotic cuisine is served. VIRGO – Take assistance of a friend to tackle your problem. There is no use of forgetting and fuming over past as you will not get anything but draining your mental and physical energy. Financial hassles will be eased out with the help of your friends. Friends will offer you good advice regarding your personal life. Don’t waste your time in one-sided affair. Your ability to help those in need will bring you respect. Looks like your spouse is disappointed with you today and you are going to know it. You want to do a lot many things, yet you may be postponing everything important today. Take some action before the day is over, or you might feel you have wasted the entire day. 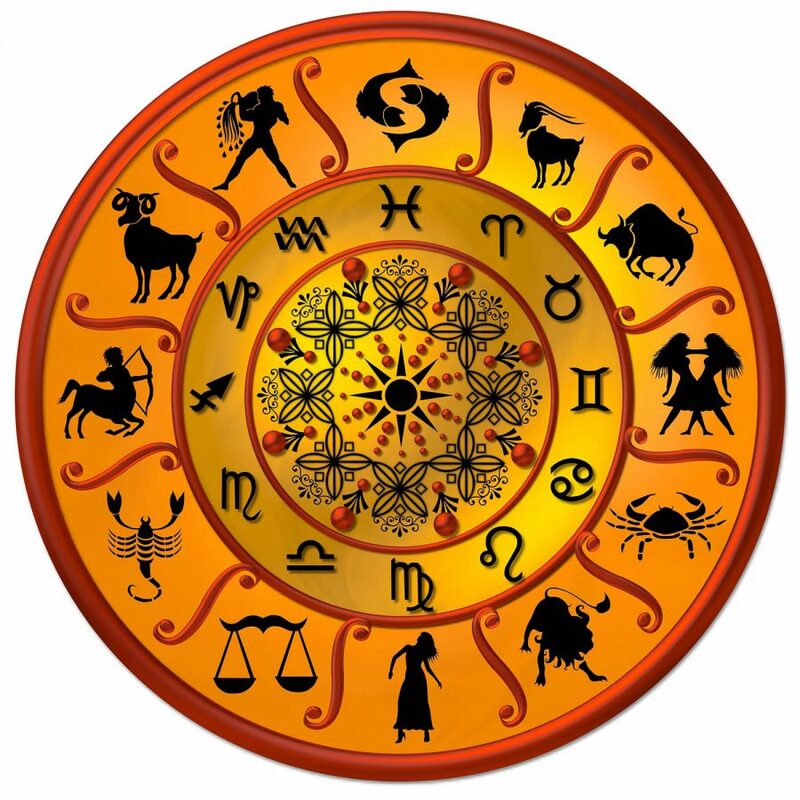 LIBRA – Your tremendous intellectual potential will help you to fight the disability. Only by keeping positive thoughts you can fight this problem. Be careful not to get roped into dubious financial deals. Auspicious day for giving and receiving gifts from those you love. Personal relationships are sensitive and vulnerable. Seminars and exhibitions will provide you with new knowledge and contacts. You might feel awkward about an action of your spouse. But later you will realize it happened for good. You might take a flight into unbound creativity with some good time spend in writing..
SCORPIO – Today you might have to face several tensions and difference of opinion that will make you feel irritated and uneasy. Simply ignore those who approach you for temporary loans. Help from family members take care of your needs. You are likely to be dazzled by some natural beauty today. Choose your words with care when interacting with important people. Looks like, you are going to get special attention from your spouse. You may not be able to rest properly as some of your not-so-friendly friends or relatives just might not let you. However, every cloud has a silver lining – use this opportunity to create stronger bonds, as it is going to be very useful later. 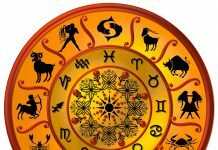 SAGITTARIUS – Let your unpredictable nature not mar your marital relationship. Make sure to avoid this otherwise you may regret later on. Avoid overspending and dubious financial schemes. Evening with friends will be pleasurable. Love life will be vibrant. A day for cautious moves- when your mind would be needed more than your heart. Today, your better half will support you in the most critical thing of your life. Spending a bit too much time on social media is not only wastage of precious time, but also not a very good thing for your health. CAPRICORN – Emotions will run high- Your behaviour will confuse people around you- Frustration could grip you as you seek immediate results. Bank dealing need to be handled very carefully. Some cleaning up around your house needs to be done immediately. Love is in the air for you. Just look around, everything is pink. If you run from a situation- it will follow you in the worst possible way. Love after marriage sounds difficult, but it is happening with you throughout the day. It really hurts when a great chunk of your weekend goes into trying to get things repaired – and all your endeavors prove unsuccessful at the end. AQUARIUS – Participating in sports and other outdoor activities will help you gather your lost energy. Investment is recommended but seek proper advice. Enjoy a peaceful and quiet day with family members-If people approach you with problems- Ignore them and don’t let this bother your mind. Romantic moves will not pay. Secret enemies will be eager to spread rumors about you. Your days’ planning might get disturbed due to your spouse’s urgent work, but at last you will realize that it happened for good. This is a day for partying hard and there is no doubt about it. However, too much of anything leads to trouble – failing to recognize it may get your health in the soup. PISCES – Listen to some soothing music to get rid of tension. Financial problems ruin your ability to think constructively. Control your tongue as it could hurt the sentiments of your grandparents. It is better to remain silent than waste your time in babbling. Remember we give meaning to life through sensible activities. Let them feel you care for them. Your beloved will seek commitment. Today you would be full of good ideas and your choice of activities will bring you gains far beyond your expectations. Interference of outsiders will lead to disturbances in your married life. If you organize your day better, you may take advantage of your free time and accomplish a lot.